Ok so today’s Friday Cake Break is a leeeeetle bit geeky! 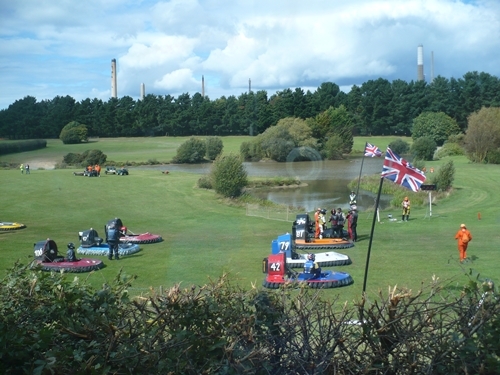 At a (hovercraft) race meeting, someone needs to know what’s going on, like how many laps they’ve done and who’s winning! those dedicated ladies are the lapscorers and this was celebrating a special birthday! That’s amazing! I’ve never seen this before, or these types of vehicles. 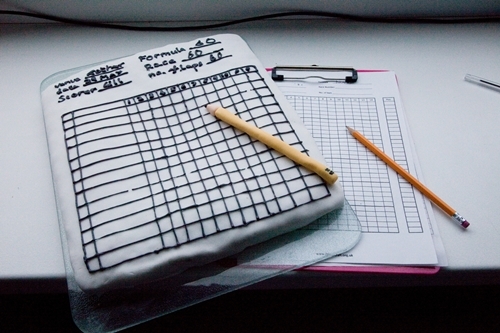 How in the world did you get those lines so straight on the cake!!? It’s really remarkable! have a great weekend!